How to gather, share, and implement customer feedback that will skyrocket your business growth by helping your customers succeed. 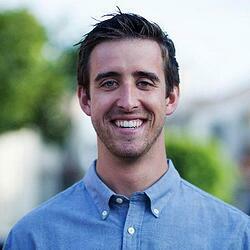 Brian Halligan, CEO of HubSpot, was recently voted as a top CEO in America. 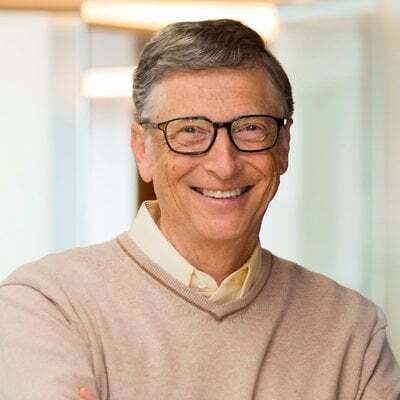 He's helped grow HubSpot from $0 to a publicly-traded company valued at almost $6.5 billion with over 56,500 customers in more than 100 countries. If we don’t know what’s right, we can’t do more of it. If we don’t know what’s wrong, we can’t do less of it. Without customer feedback, we are destined to fail. We see our customers as invited guest to a party, and we are the hosts. It’s our job every day to make every important aspect of the customer experience a little better. Customer feedback is the ultimate truth. If you read customer feedback and listen to call center calls, you will really get grounded. What's the benefit of gathering customer feedback? Loyal customers grow a business faster than sales or marketing. However, if we never ask for customer feedback, we'll never understand what drives customer satisfaction. If we don't know what drives satisfied customers, it will be impossible to create customer loyalty. It costs 5x to 25x more money to acquire a new customer than keep existing ones happy. The #1 most common source of new leads are referrals. Highly-engaged customers buy 90% more often and spend 60% more per transaction. Returning customers, or customer loyalty, is what grows a business. Not a 30-second, $300,000 commercial on NBC. And it all starts with gathering customer feedback. Now, let's talk about how to do that. There’s a strategic system for gathering and implementing customer feedback: The A.C.A.F. Customer Feedback Loop. Let's dive into the specific steps. What questions should we ask? It depends on our goals. Do we need to understand overall trends in our customer satisfaction over time? Do we need to identify customer service issues that frustrate customers? Do we need to uncover product issues to improve our product? In the following sections, we’ll uncover best practices for all scenarios. To identify overall trends in customer satisfaction, we first have to get a benchmark on how happy (or unhappy) our customers are today. Then we can ask the same question at set intervals to understand how our customer satisfaction changes over time. This will help us identify trends and solve new customer issues. Let’s break down the pros and cons of each option. Not gathering feedback today? Try HubSpot’s free customer feedback tool. NPS is calculated by subtracting the percentage of detractors (customers who would not recommend you) from the percentage of promoters (customers who would recommend you). It’s commonly used as a tactic for measuring customer loyalty. In fact, customers who fall into the “promoter” category tend to have an average customer lifetime value (LTV) that is 3x to 8x higher than those in the “detractor” category. In addition, according to data from Bain and Company, companies with the highest NPS in their industry tend to outgrow their competitors by at least 2x. The question isn’t about an emotion (i.e. how satisfied are you) but about an intention (i.e. how likely are you to refer us), which is easier to answer. Easily understood by most survey respondents and by most in an organization. Typically high response rates as it’s just one question. Highly correlated to growth and customer loyalty. Can be time-consuming to calculate without a customer feedback tool. Cultural bias (ex. an “8” in America may mean something different than an “8” in Japan). Difficult to understand how good or bad a score is due to wide-ranging benchmark data. 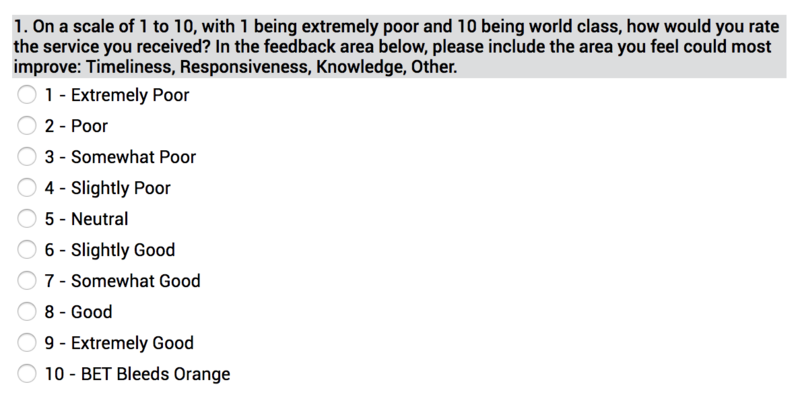 Difficult to pull out themes from open-ended customer feedback. Difficult to overlay this data with “more objective metrics” like usage data and CRM data so teams can understand how different cohorts of users/customers respond differently. Biased based on the last touchpoint a customer had with our company and how they’re feeling in a given day. CSAT questions are often asked at the end of live chats or knowledge base articles to get an idea of how helpful the solution was for the customer. We've wrote extensively about the strategy for building a knowledge base, so we’re just skimming the surface here regarding measuring the performance. Short and intuitive. It’s one simple question with clear answers. High response rates since it’s just one question. Cultural bias (a larger range is not always better, due to cultural differences in how people rate their satisfaction). Difficult to understand how good/bad a score is due to wide-ranging benchmark data. 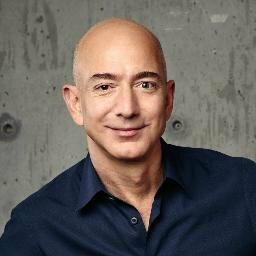 Lack of actionable feedback in terms of understanding what we can improve upon as a company. Outside of gathering NPS and CSAT surveys, you can also listen to what your customers are really thinking about you by using tools like Google Alerts or Mention. They help you identify social and forum mentions of your brand on websites like Facebook, Twitter, Quora, Yelp, TripAdvisor, and other third-party review sites. “People are talking about you and your competitors constantly. They could be asking for help, complaining about a bug, or raving about how much they love you. And you want to stay on top of all those conversations. Your customers' opinions matter, not just to PR & marketing, but to every team — from customer support to product development to sales. But sifting through irrelevant posts on multiple channels is overwhelming and can be a huge time drain. Sometimes it's not even possible when they don't tag or link to you. That’s where monitoring comes in. Monitoring tools make it easy for you to find people talking about you, but not necessarily to you (when they don't @mention your account) — and reach out or take notes when necessary. Although there isn’t a specific survey question you can ask, it’s important to get a general pulse on what your customers are saying over time about your company. No burden on the customer to complete a survey as the "mention" is in their natural environment. Get a true measure of what customers think about you as this method is entirely organic. Difficult to measure and quantify which makes it nearly impossible to track performance over time. Challenging to tie social media comments back to a CRM system at scale. [VOTE] How do you monitor trends in customer satisfaction over time? 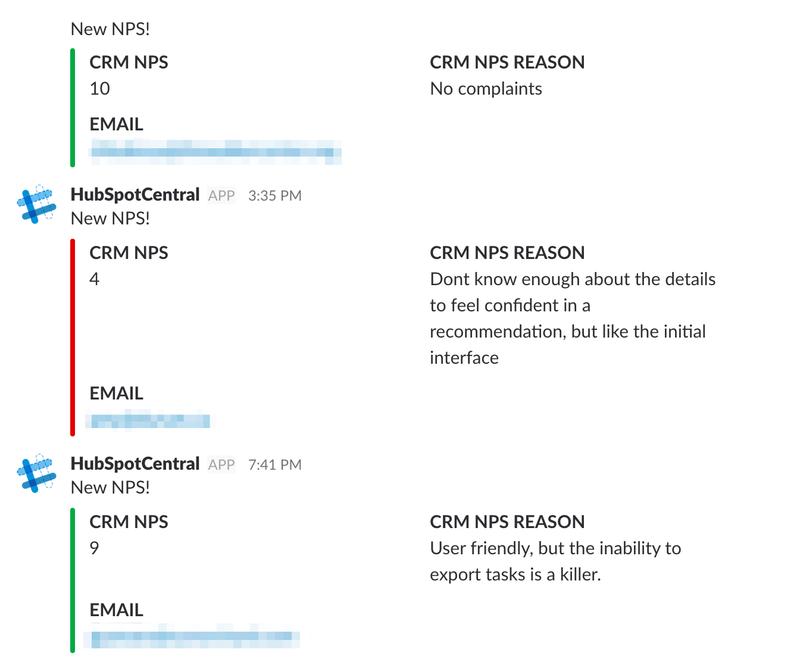 At HubSpot, we use NPS as our primary metric to measure customer satisfaction over time. However, there are plenty of great arguments against NPS as well. It’s entirely up to weighing the pros and cons of each potential surveying method and figuring out which method works best for you. Regardless of the question we choose, it’s important to ask the same question at set intervals over time. At HubSpot, we choose to ask our NPS question monthly to keep a pulse on our customer happiness over time. It identifies specific pain-points in the customer journey. It identifies common patterns in happy/unhappy customers. 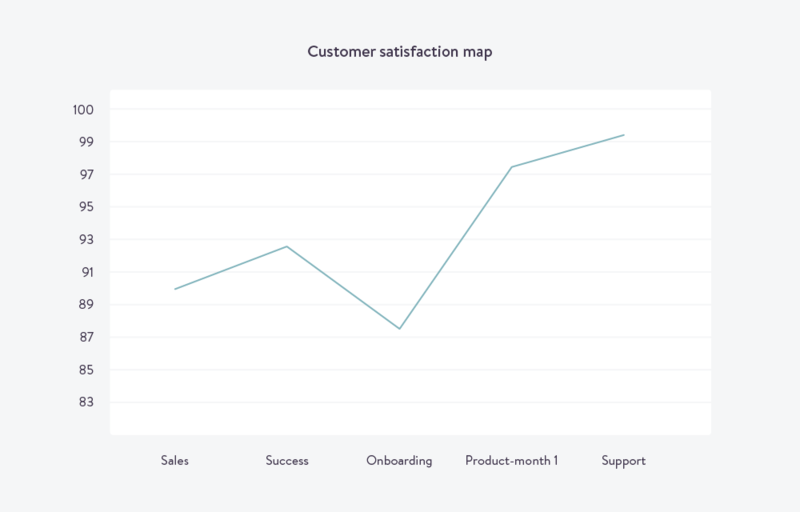 However, if we didn’t consistently our customers via customer feedback surveys, we would NEVER realize that satisfaction dropped specifically during onboarding. Let’s say this company wanted to understand demographic patterns of the 3,643 NPS respondents who rated them a 9 or 10 (a.k.a. their NPS Promoters). They analyze their data and notice that 90% of their promoters were SaaS companies with 200+ employees. Now they use this data to inform their marketing & sales strategy, doubling down on companies that fit this demographic, and start seeing a 20% lift in close rates and a 54% lift in retention. If they didn’t consistently ask for customer feedback they would not have uncovered these patterns. Next, let’s narrow our customer feedback to identify trends from our customer service team. The next set of questions are for the customer support and/or customer success leader. They are focused on analyzing how their team is performing. As a reminder, Net Promoter Score (NPS) measures the likelihood a person will recommend your product or service. However, does this help us analyze the effectiveness of our support team? Is it an accurate measurement tool compared to other options out there? Typically high response rates as it's only one simple question. Limited in the vast spectrum of emotions that one might feel after a service interaction. Not all customers are created equal, some CSMs may manage a particularly challenging segment and naturally have deflated NPS responses. Lack of clarity on what you’re asking or how it relates to their issue. A rating scale must be universally understood — stars, thumbs, and numeric rating scales present challenges in analyzing customer feedback. As a refresher, the Customer Satisfaction Score (CSAT) question measures how satisfied a customer is after a specific interaction with a company. CSAT questions are often asked at the end of live chats or knowledge base articles to get an idea of how helpful the solution was for the customer. This question shows how happy your customers were with the whole support interaction -- from finding your contact information, how long it took for you to answer, the conversation they had with your team, and other follow-up conversations. The rating scale is adaptable. We can vary the answers depending on what works best for our audience (ex. emojis, text, stars, or numeric rating scales). Satisfaction is subjective and may mean different things to different people. Cultural bias — a larger range is not always better, due to cultural differences in how people rate their satisfaction. Measuring the difficulty of a problem resolution versus a customer’s satisfaction after the resolution is a slightly different modification to the standard CSAT question we discussed in the previous section. And unlike the NPS question, which emphasizes gaining “promoters” to recommend your business to others, the CES focuses on creating an “effortless experience” for customers. There’s a fascinating Harvard Business Review article that dives into CES in more detail. In summary, making an experience low effort is one of the best ways to increase customer loyalty. Finally, according to CEB, 96% of customers with a high CES scores showed reduced loyalty in the future, while that was the case with only 9% of those who reported low CES scores. Strongest predictor of future purchase behavior (according to HBR study where 94% of customers reporting low effort said they would repurchase, while 88% said they would increase their spending). Strong predictor of referral likelihood as 81% of customers reporting high effort say they would speak negatively about the company to others. Highly actionable compared to other terms such as CSAT or NPS. Does not provide information regarding the customer’s overall relationship with your business. It's far more challenging to identity areas of improvement compared to all of the other options that are out there. Lack of segmentation by type of customer. [VOTE] How do YOU identify customer service issues that are most frustrating for customers? Whether you choose NPS, CSAT, or NPS, the key is asking for customer feedback after a support ticket and/or a live chat is closed. This helps improve the response rate and reduce bias that could alter the response if the customer feedback survey is sent later. Aside from improving the customer experience, it also gives Customer Success leaders insight into what team members are the highest performing. You can then reverse engineer qualities of top-performing CSMs to improve training and hire other top-performers. The final set of questions are typically for the founders, executive teams, and/or product team leaders. However, does this help us analyze product issues our customers are experiencing? Good high-level benchmark to help us understand how happy customers are with our product. NPS is not a diagnostic — it doesn’t tell us what’s wrong with our product. Hard to make actionable — we get very few pieces of qualitative feedback. The biggest challenge is reaching out to these customers and getting them to expand upon the "why". We often have to follow up individually with ALL detractors and neutrals. The biggest issue with NPS, however, is that it doesn’t dive deep enough into specific product issues. That’s where in-app product surveys can be helpful. 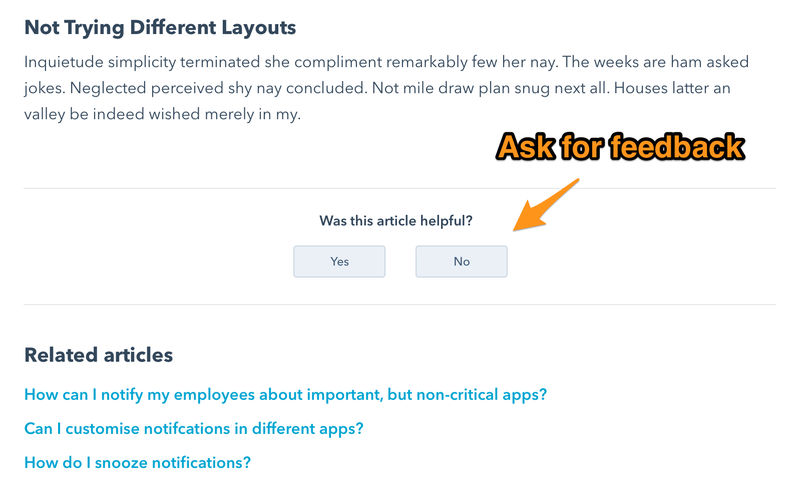 If you sell a software product, asking for feedback directly inside the app is a fantastic method for collecting product feedback. Lots of flexibility — you can ask whichever question you see fit, whether you’re evaluating a new design, gauging how customers feel about a new feature launch, etc. Gives us access to the customer/user where they are in the app. Gives us context on what the user/customer is looking at in the app right before their response. Allows us to respond in-app so I can keep all of my feedback in one place. Difficult to comb through open-ended responses and extract insights. No ability to throttle NPS based on if a user has recently responded to feedback — need to be able to suppress certain users. A massive part of build a product is identifying new features customers desire. The easiest way to figure it out? Ask them! Creating a “feature request board” is a common tool for gauging product feedback from existing customers. For example, here’s the customer feedback board we use at HubSpot to help build our product. We’ve also seen other companies use Trello as a tool to publicly share their product roadmap. It’s an incredible way to crowdsource feature requests. Here’s a great example from Loom — the Google Chrome extension for recording videos in seconds — who shares their roadmap publicly. 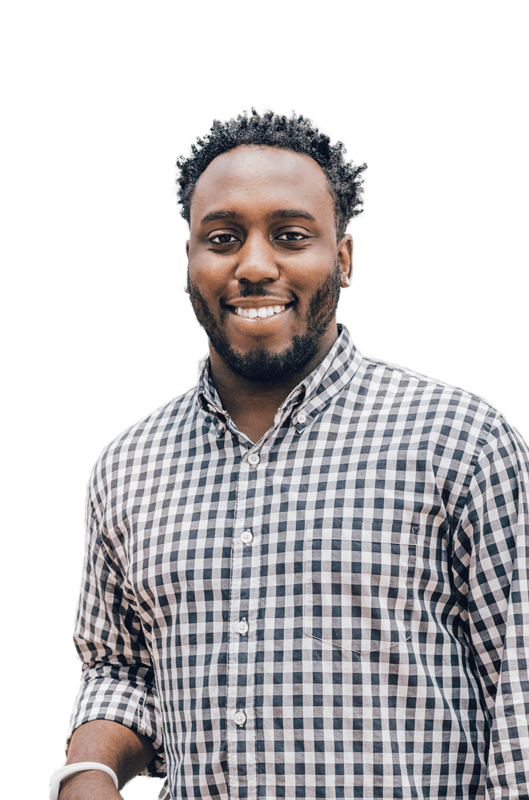 "There are two major reasons for publicly sharing what we plan to build for the people using Loom. First, it builds confidence with the people and companies using our software about what will be available and when. Second, it elicits more feedback from people using our software because they see what you're building which means they can agree or contest what is coming next." Customers feel that they’re an active part of building your product roadmap. It provides a place to make customers feel their voice is heard. Builds a sense of community and heightened loyalty when you can collaborate with the company on ideas. Provides a channel through which you can make users feel appreciated for their contributions by letting them know that you’re taking action on their suggestions. Likely biased towards your highest-intent customers. The people who aren't using your product are much more likely to withhold feedback or product suggestions. Low volume unless customers are explicitly prompted to suggest an idea in the board. [VOTE] How do YOU gather customer feedback to improve your product? We actually use a mixture of all three of these methods at HubSpot. But we’re always looking for new and interesting ways to gather customer feedback. The next step in the A.C.A.F. Customer Feedback Loop is categorizing the feedback. Congrats! Now you’ve learned how to ask for customer feedback. The next step is finding a scalable system for categorizing the feedback. If you don’t organize your feedback, it'll probably turn into an endlessly scrolling spreadsheet. Yikes, this hurts my brain just thinking about it. You can also break down each macro category into different subcategories which we’ll cover below. It’s quickly worth noting you’ll save time by using customer feedback software to help with organizing your feedback — versus compiling data into spreadsheets and running time-consuming PivotTables and VLookups to dissect trends. According to Scott Tran, founder of Support Driven, it's vital to factor in both positive and negative feedback (regardless of category). "How can you make good decisions for the customer without listening to customers? You need to listen to the good, the bad, and the ugly feedback to make good decisions." After you ask for product feedback (the first step in the A.C.A.F. Customer Feedback Loop), you’ll get a massive spreadsheet of information. Major product bugs. These are extremely urgent issues that prevent users from getting the core value out of your product. For example, if you have an instant messaging product and users cannot send a message. Minor product bugs. These are minor issues that don’t distract from the core product value. For example, using the same hypothetical messaging product, this would be if your users couldn’t insert a specific emoji into their message. Feature requests. We covered feature requests extensively in the previous section of the A.C.A.F. 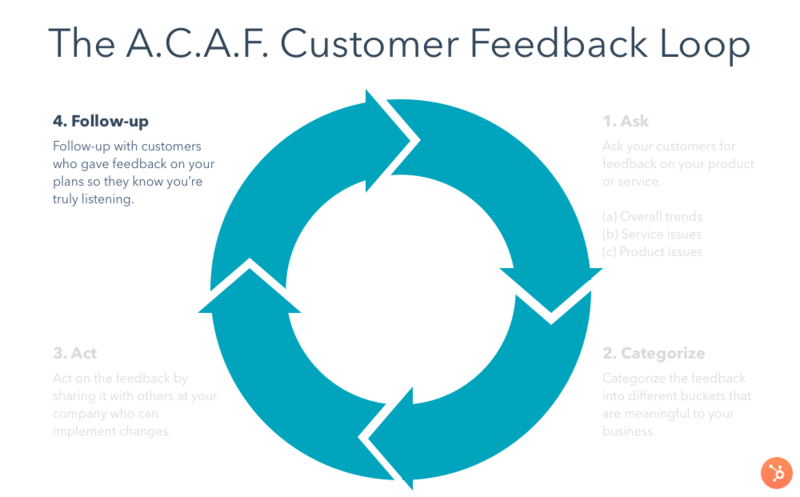 Customer Feedback Loop framework. The next step is prioritizing feedback based on a mixture of volume of requests, potential impact of building that feature, and opportunity costs associated with each choice. Here’s an great guide from Trello on how to manage feature requests. You can manually categorize this feedback using a spreadsheet, assigning labels to specific columns, then creating a PivotTable or V-Lookup … but this can be time-consuming. An easier way is leveraging a customer feedback tool that helps you categorize the feedback by assigning smart tags and bucketing everything into categories automatically. HubSpot offers customer feedback tool to help with exactly this. Regardless of how the feedback survey is sent, all the data will get aggregated into a central place to analyze your customer feedback. "What are the most commonly asked questions?" "What knowledge base articles don’t give users the answers they’re looking for?" 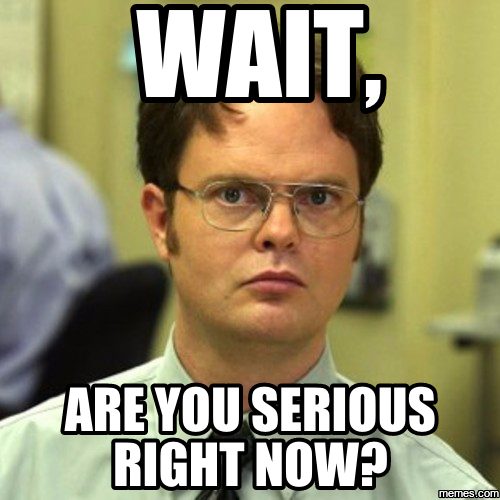 "What is our average response time in live chat?" "During what stage in the customer journey do people get stuck?" Building a sustainable system for analyzing customer service is vital for our business growth. If we don’t know where people are frustrated, we can’t improve our customer service. If we can’t improve our service, our customers will leave for another company who will. The final category of organizing customer feedback is focused on your marketing and sales. Your customer success team is now destined to get practice on dealing with angry customers. They were promised something by sales that didn’t deliver. The same can happen with marketing. For example, pretend your marketing team mistakenly writes that your product is compatible with Microsoft Outlook on the website. A customer purchases your product, because it’s supposedly compatible with Microsoft Outlook, which they later learn is not true. That will cause massive headaches for your Support team later down the road. If you have a tight customer feedback loop for your marketing and sales teams, these headaches will be entirely avoided. Another strategy for categorizing customer feedback comes from Justin Wilcox of Customer Development Labs. He suggests using Post It Notes to visually categorize different buckets of feedback. ”The first thing I do is go through my notes and bold the salient points. Then I write up an (online) Post It note for each of the nuggets in one of my interviews. As I create the Post Its, I group common themes together. Once I’m finished creating the Post Its, I usually have quite a mess. To clean that up, I get rid of any Post It that was only mentioned by one customer and keep everything that was mentioned twice or more. Next, I prioritize the groups of Post Its based on how many customers mentioned those concepts. Finally, I create a summary with the core concepts and screen shots of the Post Its. Now I have an easy to read report of the findings, in order of importance, complete with real customer quotes!" You can either share feedback in real time by using email alerts or Slack alerts. Or you can share the customer feedback at set intervals such as daily, weekly, or monthly digests. Regardless of when you share the feedback, it’s vital that you do share the feedback. We’ve found that too many times companies ask for feedback but don’t do anything with it. Why ask for customer feedback if it’s just going to sit idle in a spreadsheet? ”Customer satisfaction survey data is an invaluable source of new ideas to test as well as a great gauge at how to prioritize improvements. 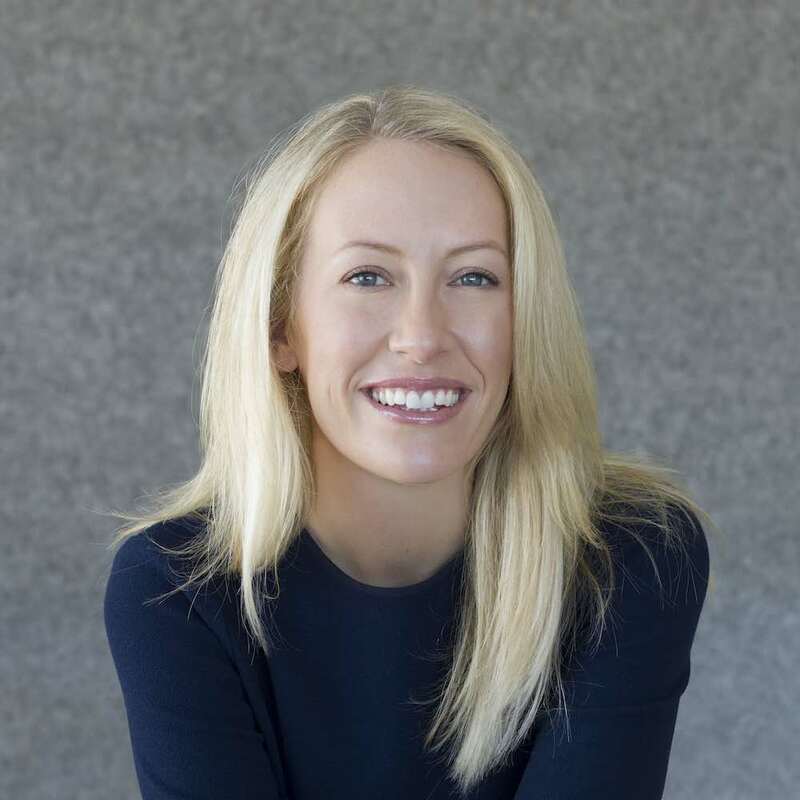 Having this kind of data helps us get into the mind of our customers, make a case to try something new, and even estimate the impact that an improvement will have on user experience." The key is sharing it with the correct teams at intervals (real time, daily, weekly, monthly) they prefer ... regardless of whether it's a new product idea or making improvements on existing products. The final step is then following-up with customers that have provided feedback. That’s where most companies fall short. The first can be solved with customer feedback software. The second is a little tougher. What's the core problem? People don’t share feedback with companies because they feel like they’re talking to a wall. According research from a UK customer experience group, they found that 43% of customers don’t leave feedback because they don’t think the business cares. If we don’t make our customers feel appreciated for their feedback, both positive and negative, they simply won’t give feedback. If we don’t get customer feedback we risk our business failing. “Closing the loop with customers that complete your satisfaction survey is both the most important and most ignored step in a good customer satisfaction campaign. Ensuring that your team can acknowledge and thank anyone that completed the survey (close the loop) is critical to ensuring that customers will continue to provide you feedback." ”Whether you use NPS or a general customer satisfaction survey, the most common mistake I see people make is doing a lot of work to put the system in place without doing the work to get teams/the company ready to act on the feedback that is collected. If a customer tells you the exact same feedback twice, meaning you didn't address the issue after they raised it in the first survey, you will lose credibility and they may not be willing to keep filling out your surveys in the future. You can't act and deliver on every piece of feedback that comes through but you can address every piece of feedback that comes through in some way. Providing a response, even if what the customer is requesting is not something you will do, is always better than no response at all or 'it's on the roadmap.' Be very clear and you will build trust." But what makes our customers feel like their being heard? When we feel like our voice is being heard — and that something will be done about it — we aren’t afraid to share our opinions. It’s our responsibility as a business to follow up with customers who share feedback. If we don’t, they won’t share feedback later on, and we run a higher risk of business failure because we’re not capturing the good and bad feedback from our customers. Additionally, if you have thoughts on gathering customer feedback, we’d love to hear from you. Send us a Tweet over at @HubSpot about how you gather customer feedback. Good luck! Use HubSpot’s customer service software to connect with customers, and grow through their success.